Glasshouse shares a rich history with the City of Pittsburgh and the neighborhoods which surround it. Pittsburgh was known as the glass capital of the United States, with more than 80 percent of the glass in the United States produced in the city by the 1920’s. 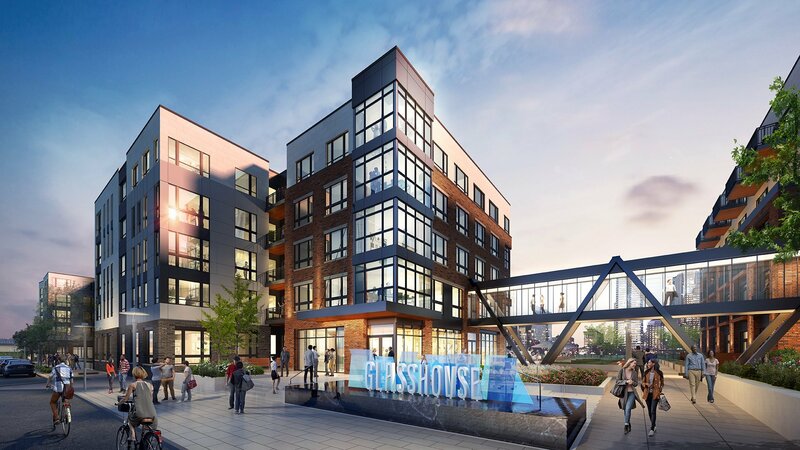 Glasshouse is a new, mixed-use development overlooking the Monongahela River. 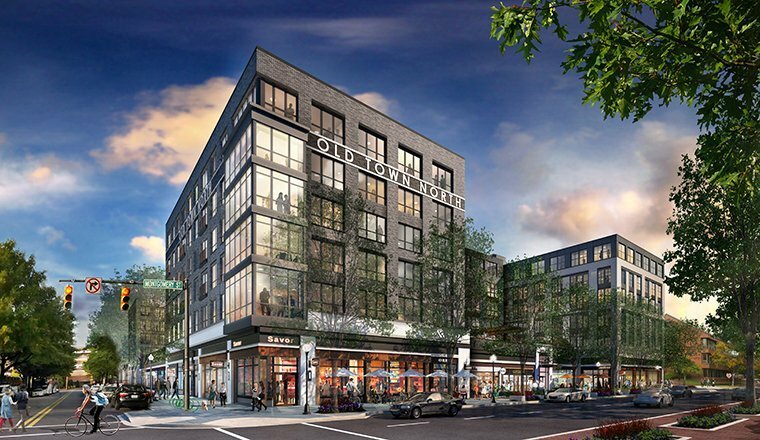 Its name pays tribute to the local history of glassmaking and the craftsmanship that was present on the site in years past. 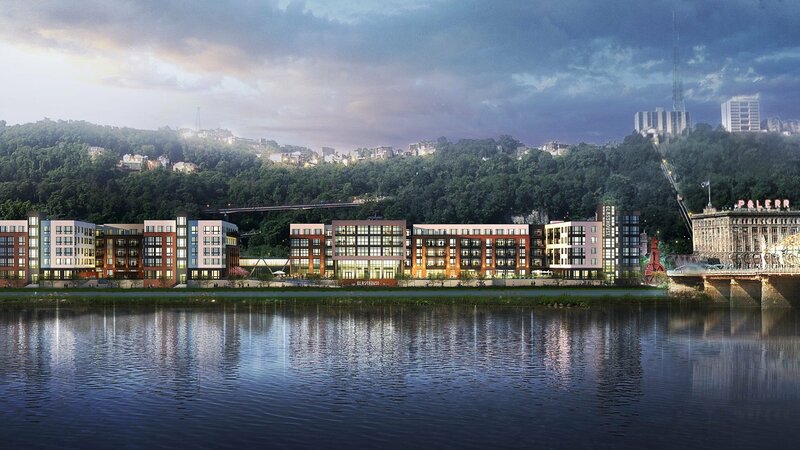 The project site is geographically defined by the 1000’ wide Monongahela River to the north, the 400’ high Mount Washington to the south and is framed by the Fort Pitt and Smithfield Street Bridges to the west and east with spectacular views of the city. 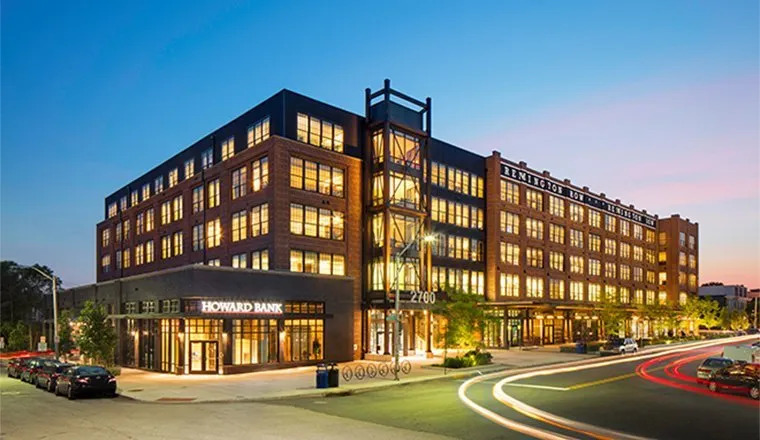 Hord Coplan Macht’s design for the new building includes 319 market-rate apartments, ground-level retail space, distinctive amenity spaces and structured parking. 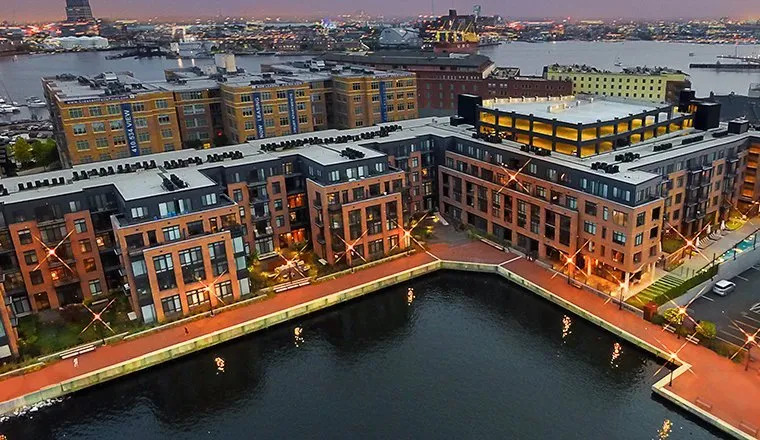 The centerpiece of the project is a distinctive ‘jewel box’ feature boasting a two-story amenity space with entertainment, conference room, private dining room, game room, soft-seating and covered outdoor spaces overlooking beautifully landscaped courtyards. 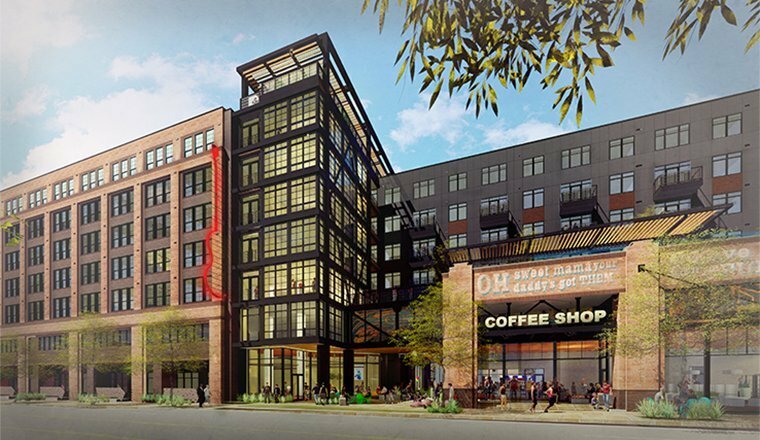 Other interior amenities include a bicycle repair and storage room, and pet spa. 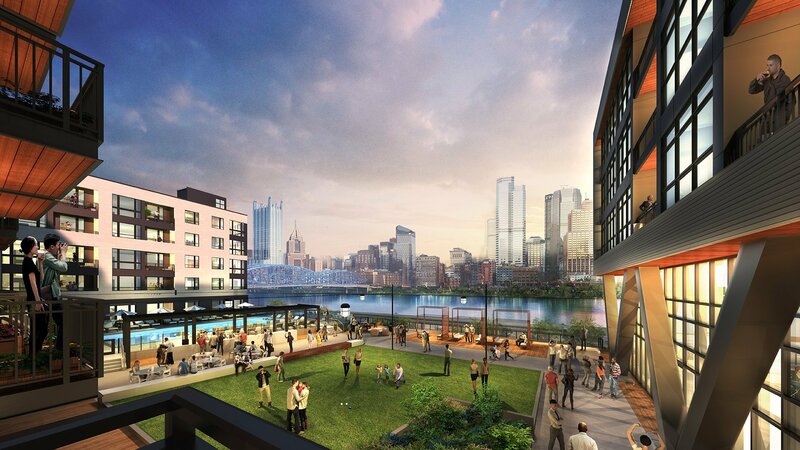 The residents will have access to a swimming pool, bocce court, landscaped lounge seating with fire pits, outdoor kitchen and dining areas, with magnificent views across the river to the Pittsburgh skyline. 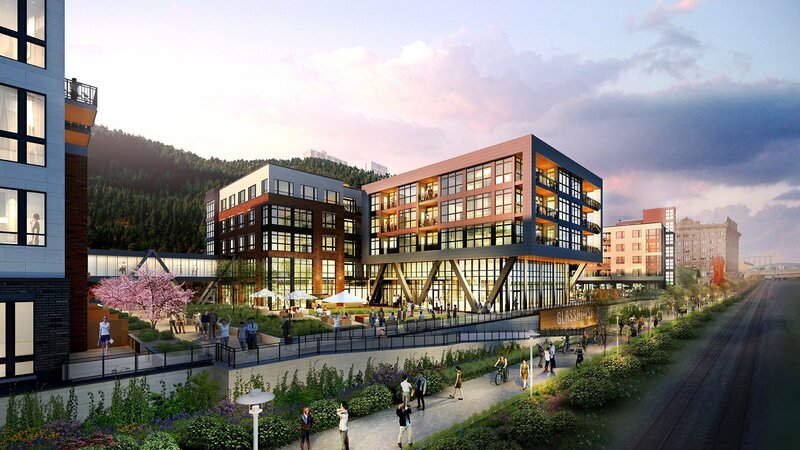 Additionally, the site lies along the Great Allegheny Passage, a popular bike trail that connects Pittsburgh to Washington, D.C. 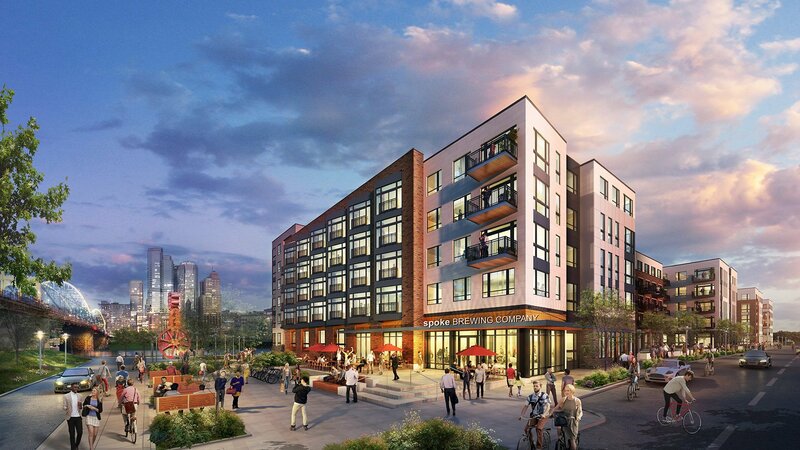 Residents will have access to a free, on-site bike-share program and various sustainable design elements which will promote healthy lifestyle choices. Construction for Glasshouse is expected to be complete in early summer of 2019.